we always aim to be as flexible as possible. All participants are encouraged to follow their own interests and can choose to work in a number of ways: painting, collage, sculpture and model-making to name a few. 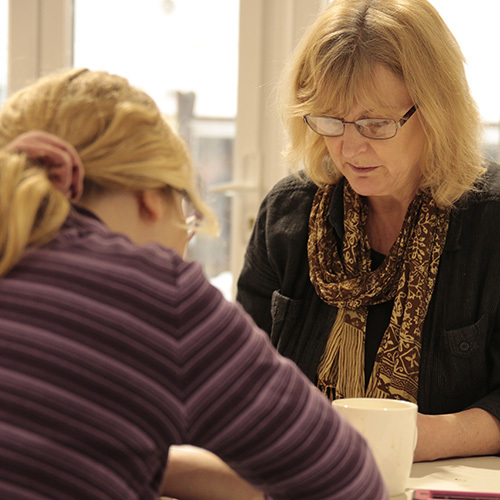 All art materials are included in the cost of a session as well as light refreshments. If you are interested in joining a session please contact Helen directly - you don't have to be an artist; everyone is welcome to come to enjoy and socialise. 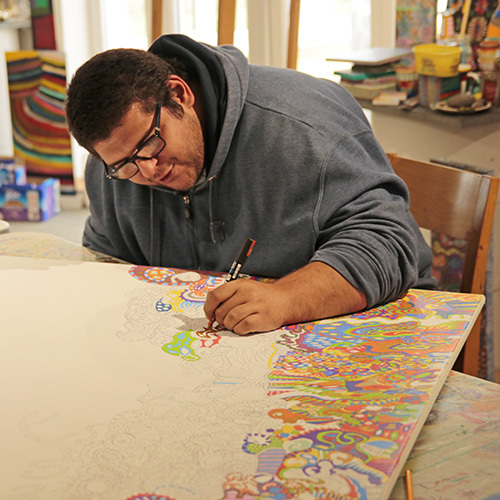 "I have been coming to Artbox for nearly two years supporting two clients with special needs. In that time I have seen a significant change in both people. 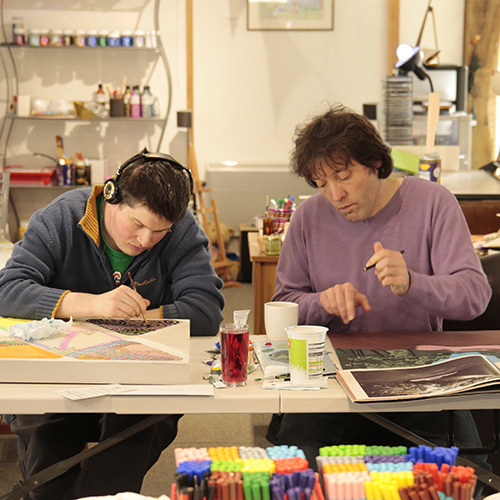 Both have more confidence and ability to be creative with the help and guidance of Artbox. It also gives them the chance to meet and interact with other people. They are like one big happy family. Without Artbox there would be a big void in their lives. We look forward to our regular visits." 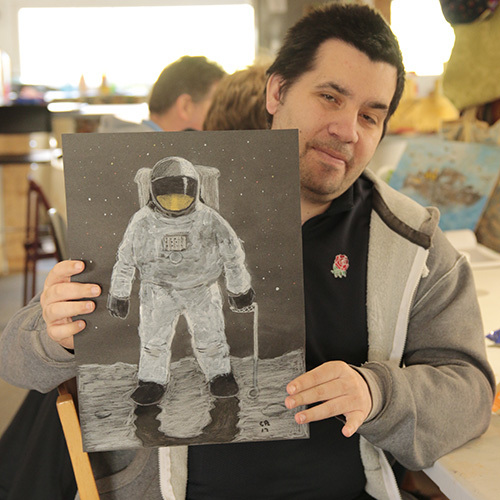 "I have been attending Artbox for the past year with a client who has special needs. We enjoy the tranquil setting, it is peacful with no interruptions. My client gets to interact with people who they would not normally have met and they have made many friends. There is plenty of help from Helen & Steve who help them to achieve their goals. There is always a warm welcome when you enter." Peggy Sue - Support worker.